Britt’s Latitud 0 coffee is 100% Arabica, grown in Cariamanga in the Loja province at 1900 masl (6200 feet), shadowed under native trees. Around 20% of the Arabica coffee in the country comes from this mountainous region, and from a geographical perspective it has great potential for quality. The micro-climate in this area is very particular. It’s very wet almost year-round and has good temperature. This weather is ideal for coffee growing and it reflects in the cup. Most of the focus from the specialty coffee sector is cultivated here. 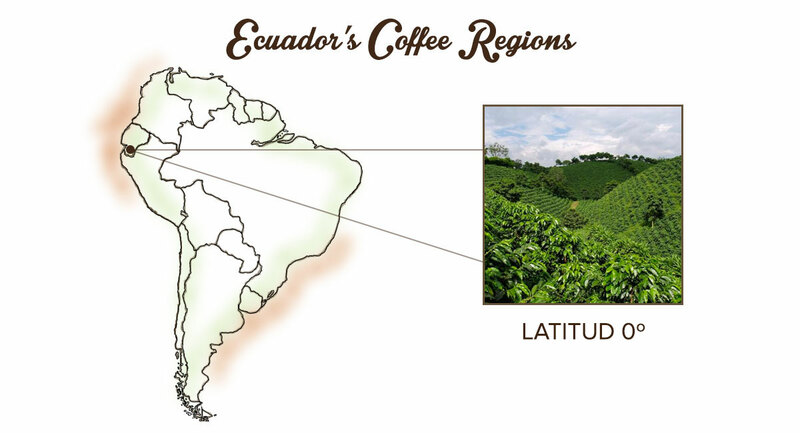 The South of Ecuador has small-producers who own 1.5 hectares on average. Our Latitud 0 blend is a balanced, full bodied coffee, with hints of vanilla and dark chocolate that has already become one of the team’s favorite.